Planning a Disney Vacation is something that we have been talking about a lot lately. The next big family vacation that we are planning to go on will include my mom, who is almost 65 and this will be hers and the kids first Disney Vacation ever. We’re still torn on whether we will be going to Walt Disney World or Disneyland, but one thing I do know is that we need to make up our minds soon because the deal through AMA Travel is one that we just can’t pass up. From now until February 28th save 25% on your purchase of 3-day (or longer) Disneyland Resort Tickets or 4-day (or longer) Walt Disney World Resort Tickets. This amazing deal is a great way for families on a budget to buy their Disney Resort Tickets now and save for the rest of their vacation over the next couple of months. Disneyland Resort Tickets don’t expire until 2018 and the Walt Disney World Resort Tickets don’t expire. The discount applies to both AMA and Non-AMA members. AMA members will also receive additional discounts on top of the 25% discount. If you’re looking for other ways to save for your vacation, compare energy prices to find a better deal so you can save on your monthly expenses. Disneyland Tickets and Walt Disney World Tickets can both be purchased through an AMA travel agent by phone or at your nearest AMA Centre. 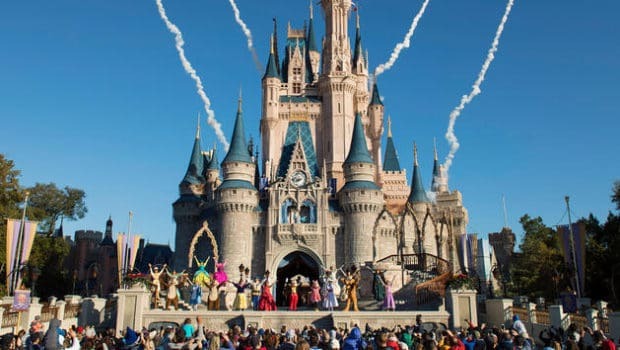 Walt Disney World Tickets can also be purchased online. AMA Travel is now an authorized Disney Vacation Planner and can help you with everything from flights, accommodations, theme park tickets, and to customize your Disney vacation for you and your family! There’s magic to be had at every Disney Theme Park and AMA Travel will help you get there. This post has been sponsored by AMA Travel. All content and opinions are my own.